Facebook is trying every possible means to woo back its lost audience of teenage smartphone users from other social platforms such as Snapchat, Instagram, YouTube, and TikTok. After working on dating app, the social media giant is now developing another app dubbed as ‘LOL’. This new platform is designed as a “special feed of funny videos and GIF-like clips” using content “pulled from News Feed posts by top meme Pages on Facebook,” according to a new report from TechCrunch. “We are running a small scale test and the concept is in the early stages right now,” a Facebook spokesperson confirmed to TechCrunch. The content will be divided into categories like “For You”, “Animals”, “Fails” and “Pranks”. Further, users will be able to choose from three reactions: “Funny,” “Alright,” or “Not Funny” that would appear under each meme. Currently, around 100 high school students in the U.S. with their parents’ consent are testing the LOL app, and are apparently giving their feedback to Facebook engineers. “‘LOL’ is currently in private beta with around 100 high school students who signed non-disclosure agreements with parental consent to do focus groups and one-on-one testing with Facebook staff,” said the report. Those testing private beta say that LOL is slightly “cringey” and that it feels like Facebook is trying unsuccessfully to stay young. According to TechCrunch, LOL is presently being tested as a replacement for Facebook Watch. 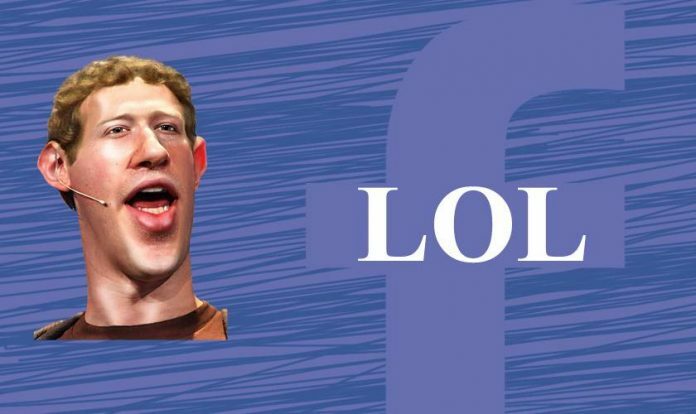 It is currently unclear if “LOL” will become a standalone app or be available in the main Facebook app. This is not the first time that Facebook has tried to lure the younger audience with its apps. In 2014, Facebook had launched a Snapchat clone app ‘Slingshot’, which was has since been abandoned. In late 2018, the company introduced ‘Lasso’, a stand-alone music app to rival popular short-video social network, TikTok, which is apparently still working.